Recommended for College, High School, and K–8. wired connectivity to the mobile learning environment. With LabQuest Stream, our wireless and USB sensor interface, students have the freedom and flexibility to simultaneously collect data from multiple Vernier sensors using a mobile device, a Chromebook™, or a computer. Just like the name suggests, students can stream data directly to a mobile device using Bluetooth® connectivity rather than Wi-Fi. That’s especially important for schools where network access may be limited or restricted. In addition, LabQuest Stream includes USB connectivity, which allows it to connect directly to a Chromebook or a computer when needed. 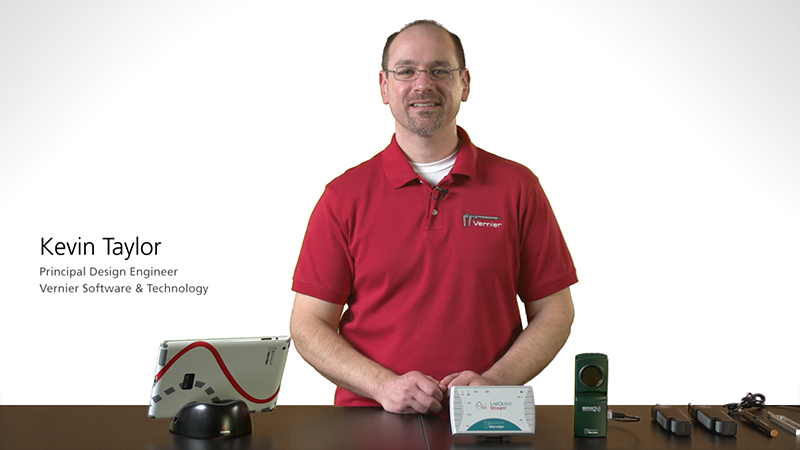 There are multiple ways to collect data using LabQuest Stream, which is compatible with over 50 Vernier sensors. with our free Graphical Analysis™ apps for iOS and Android™ when students use tablets or other mobile devices. connected to a Chromebook and collect data with our free Graphical Analysis for Chrome™ app. Multi-channel sensor interface supports both wireless data collection and USB data collection for multi-platform compatibility. It works in the lab, the classroom, and in the field. Five sensor ports give you the flexibility to choose from over 75 Vernier sensors to support multi-variable experiments and data-logging activities. This computer interface is compatible with Windows and Mac computers via USB connection. You can also connect wirelessly to computers running Logger Pro. Wireless connectivity using Bluetooth® technology delivers real-time data collection with supported platforms. Connect directly to a Chromebook using a USB cable. Wireless connection to Chromebooks coming in a future update to Graphical Analysis 4. High-capacity, rechargeable battery accommodates multiple lab experiments in several classes each day. Charge the battery using an AC adapter or a USB cable. LabQuest Stream is compatible with over 50 Vernier sensors to support multi-variable experiments and data-logging activities. Data collection will be in mV only. The pH calibration is not supported. Requires manual setup of Resistance and Power data using calculated columns. New Thermocouples (Model: TCA1816R3) are not supported with this software. No Software updates are planned. Tech & Learning recognizes products and services that show the greatest promise according to the country’s most tech-savvy educators. The data-collection interface for science and STEM education was chosen based on its quality, effectiveness, ease of use, and creative use of technology.